Made from scratch with spinach and lentils, daal-palak ka shorba soup is yummy and seriously good for you. You can have it any time of the year, but it will really warm you up when the weather is cold. Serve it with breadsticks, crusty bread, or have it by itself. Wash the moong daal and toor daal thoroughly under running water. Soak the daal in enough warm water to cover it for 20 minutes. Put the daal into a deep pan and add water—the level should be two finger digits over the top of the daal. Boil the mixture over medium heat. Add the turmeric powder and ginger and stir. Cook until the daal is soft enough to mash. Add more hot water as you cook, if required, to keep the consistency similar to that of a thick soup. When the daal is cooked, add the spinach, season with salt to taste, stir and reduce the heat to low. In another small pan, heat the ghee until it is hot and add the cumin seeds. Fry the ghee and seeds until they stop sizzling, and then add the dry red chili, chopped garlic, and asafetida. Fry the mixture until the garlic turns pale golden in color. Carefully add this ghee-spice mixture (called "tadka" in Hindi), to the cooked, simmering daal. It will sizzle and might splash so be careful. Add this mixture to the daal-spinach mix and stir well to blend. Blend the soup by hand or use a food processor to thoroughly blend the mixture until it has a smooth soup-like consistency. Spoon the soup into large soup cups or bowls. 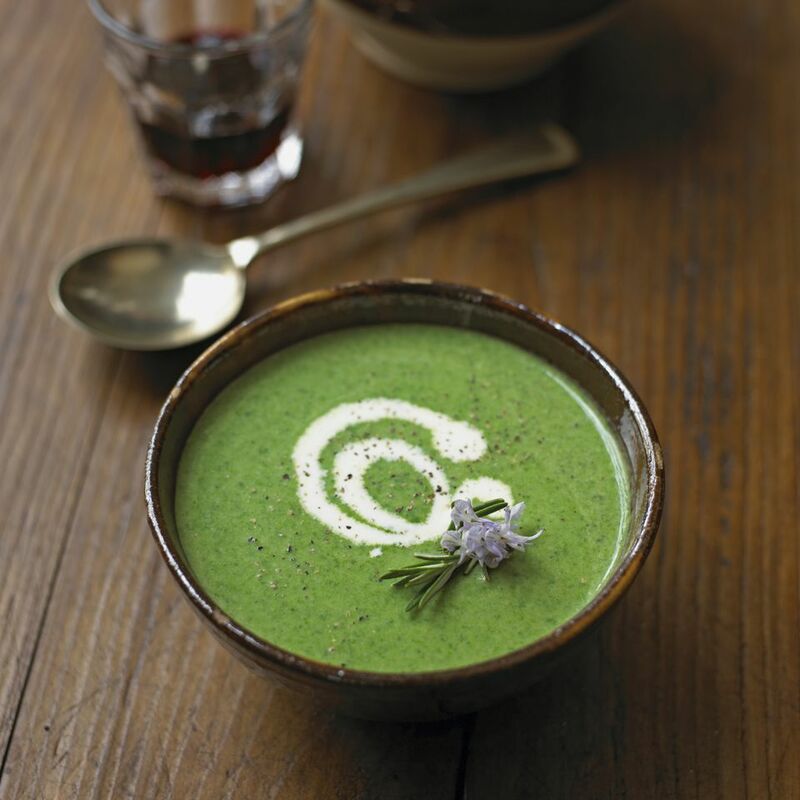 Garnish with a squeeze of lime or lemon and a teaspoon of cream and serve the soup with breadsticks or crusty bread. For step 3, use a pressure cooker, which will cut the cooking time significantly. The pressure cooker will also help to retain more nutrients in the food that would otherwise be lost due to overcooking. Croutons taste great with this soup, so add a few before serving. Spoon some plain, boiled rice into this soup to create a really filling, wholesome meal.